I was tempted to use this Post as part of the Orange photo challenge, thinking Dutch/Orange, Williamstad/William of Orange, Curaçao/Orange liqueur, but I thought that might be considered an anology too far! 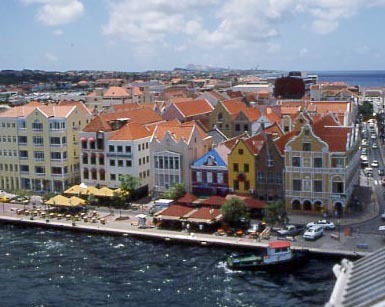 Aruba, Bonaire and Curaçao, the ABC of the Dutch Antilles, located in the southern Caribbean Sea just off the Venezuelan coast, are 3 of the most beautiful islands in the Caribbean Not only are they physically beautiful but the people themselves are among the friendliest and most welcoming in the Caribbean, something to do with the Netherland’s good governance of the islands it is said. 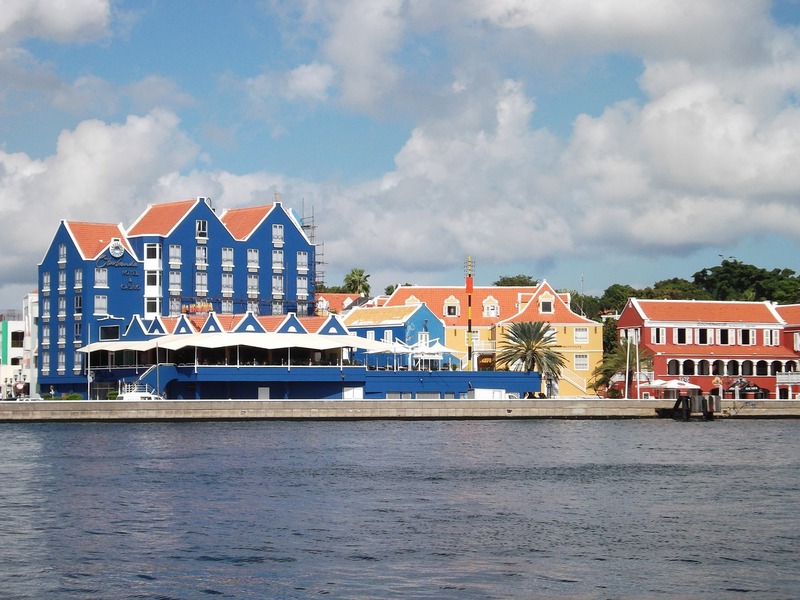 Imagine a tropical Amsterdam if you will and you have Curaçao. 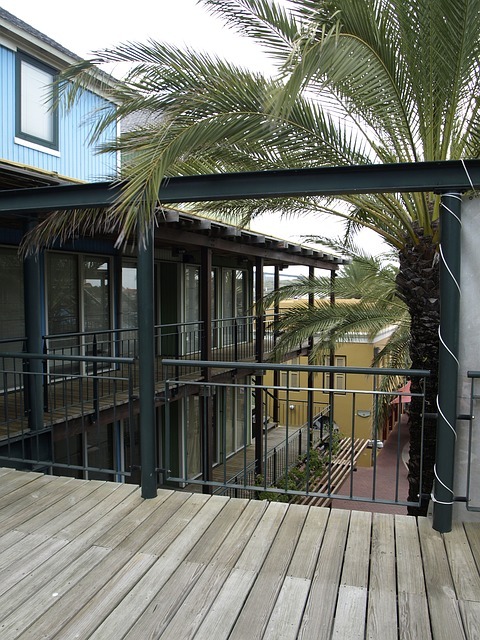 Williamstad, the capital, is a town of tidy Dutch-style streets with tall narrow houses in pastel colours of blue, green and pink lining the quayside, interspersed with emerald green swathes of grass and former warehouses now seerving as Museums. Prosperous and clean shops and delightful open-air bars and cafés give cheering evidence of the good husbandry of the former Dutch owners. 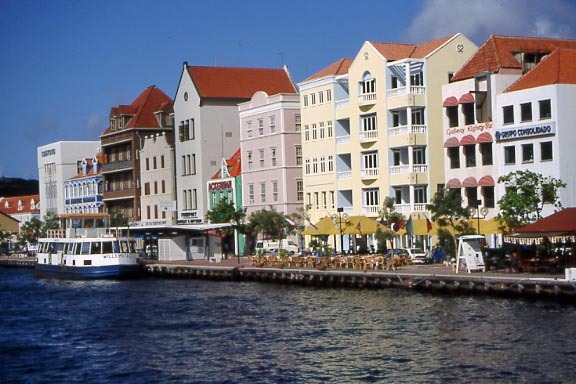 A perfect town in which to wander, safely it must be mentioned, there are some superb restaurants and plenty of budget ones as well, great retail experiences in the Duty Free shops which stock everything from designer clothes to gold jewellery and Havana cigars, Curaçao has it all. Fascinating though the town is, the beaches and the tremendous amount of water sports on offer, exercise a pull on even the most dedicated of shoppers. 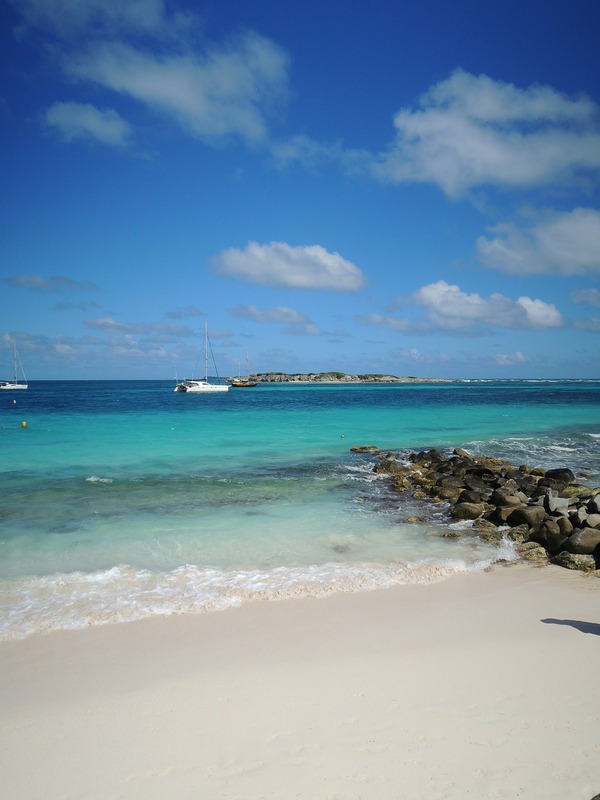 There are 35 fantastic beaches with white sands that are really blazingly, blindingly white and with the background of the turquoise sea (yes really turquoise) this is a picture postcard tropical idyll. 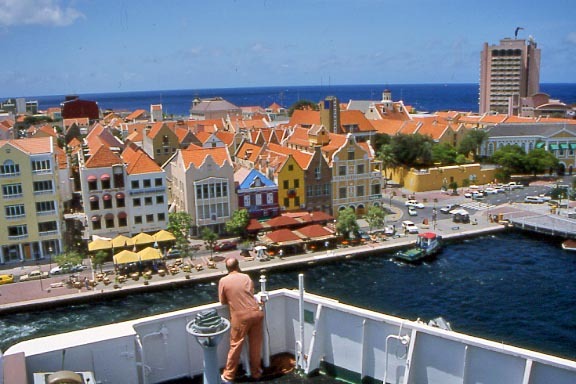 Swimming, snorkelling, diving or merely floating lazily on the seas around Curaçao is something everyone should do once in their lives. I’m no diver – I’m not even a swimmer – but I was nearly tempted into taking lessons from one of the many diving schools we visited, so enticing were the waters. ‘Rubber suits aren’t necessary’ Piet said persuasively. ‘The water is very warm, between 70ᵒ and 85ᵒ’. But I shied off and now I wish I hadn’t. My partner however, sampled some of the over 65 varied dive sites including spectacularly located shipwrecks, and raved about waters with 100 foot visibility, the gentle drop offs and walls blanketed by magnificent coral formations. And I’ll swear he hasn’t been the same since he swam underwater with the turtles and the multi-coloured fish, an experience he likened to a psychedelic dream. And it’s not just swimming, snorkelling and diving. The Marine Park and Underwater Nature Reserve offer other experiences, the best of which for most people is the Curasub, the mini-submarine which takes passengers 320 metres below the sea and which is a boon for those who, for whatever reason, cannot dive. The journey last about one and a half hours and is a delight from start to finish. It is also safe as the internal pressure means that the sub can surface much more quickly than can a diver. There are experiences of a different king at the Christoffel Park, a naturally laid out wildlife preserve covering 4,500 acres, flanked by hills and shadowed by the majestic mount Christoffel. The park is home to rare sabal palms and orchids, iguanas, several species of birds and the shy Curaçao deer. Horseback riding and mountain biking are available and driving, hiking or strolling is easy and pleasurable. 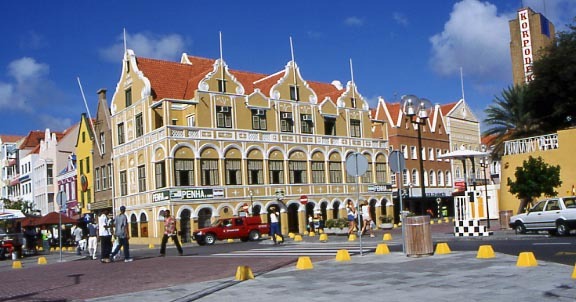 Surprised by the varied number of Museums on Curaçao, ranging from an Antique Furniture Museum to the Jewish Historical Museum housed in the oldest continuously operating Synagogue in the Western Hemisphere (since AD 732) I had my work cut out to fit even a few of them in. Once you’ve ticked off the museums you want to see you can then start on the many elegant Plantation Houses on the island. 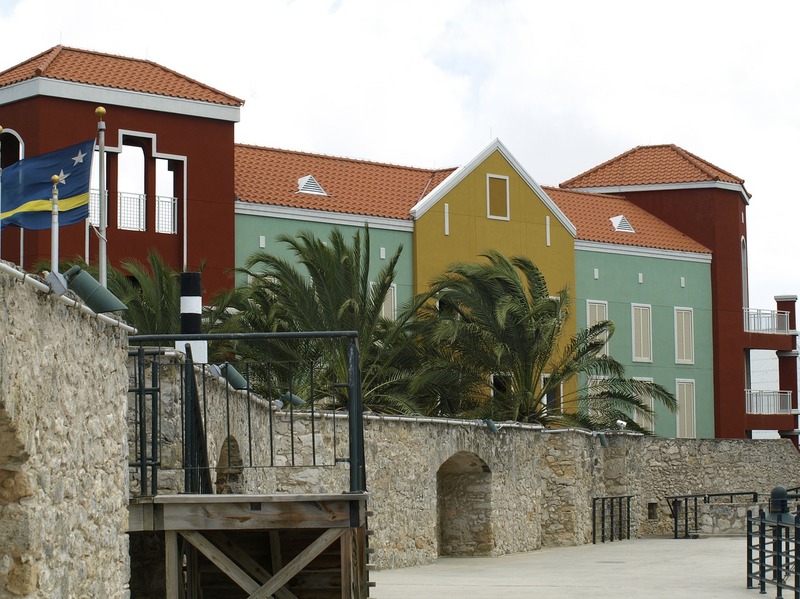 The Caribbean as a whole is not short of Plantation Houses but the ones on Curaçao are in a class of their own and well worth a visit. Buses are a cost-effective way of getting around the island and a useful way of meeting the friendly locals, but taxi are cheap and plentiful. For touring downtown Williamstad and to reach the Seaquarium there is an old time trolley bus with aircon at the front and fresh air in the back! ‘You must have a free ferry ride with the locals’ my hotel porter told me. ‘It operates at least 30 times a day when the Queen Emma Bridge opens to let ships pass through’. So I did, and it was fun. 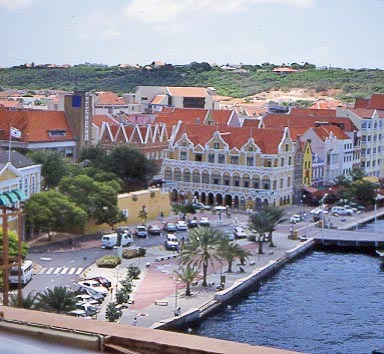 Curaçao was discovered by one of Columbus’s lieutenants, Alonso de Ojela. It’s a pity the good Señor never had a chance to try the ice-cold beer, the only lager in the world brewed from seawater, or even ‘a sticky’, the sweet, syrupy Orange or Blue Curaçao. I think he’d have liked them.